It's a Mom Thing Reviews & More! : A Few Fun Easter Basket Ideas! A Few Fun Easter Basket Ideas! Have you heard of Stackins Stakable Friends?! 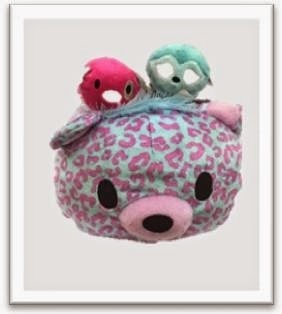 These stackable plush toys with adorable features are available in two sizes and are perfect for stacking in Easter baskets and even more perfect for snuggling! You can find this loveable plus line courtesy of Funrise Toy Corporation at Justice! 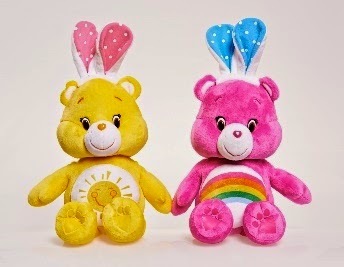 Care Bears Easter-themed Care Bears are adorable bean plushes made with bright colors and soft fabric! These bears are the perfect Easter treat and would definitely brighten up your little one's face Easter morning! Dino Hatchers are super cool! 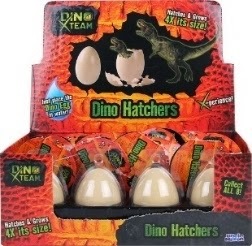 With these toys you are able to watch a dinosaur hatch and grow to over 4x its size! Place the egg in water and they will start hatching in 24 hours. These fun toys come in eight different styles and would be a perfect treat for the dinosaur lover in your life! Do you have a tween in your life who loves being crafty? If you do than Make Your Case is perfect for them! 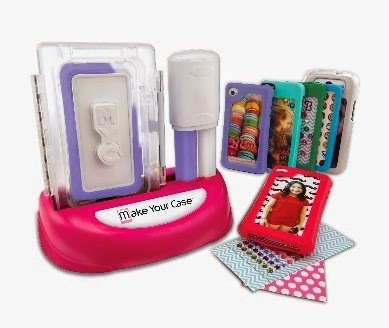 With this set you can create and design two cell phone cases; mold it, decorate it, and bling it out! These cases are compatible with iPod Touch 5, iPhone 4/4s, iPhone 5/5c/5s, and Samsung S3/4. Available at Toys R Us and other retailers nationwide! Be sure to be on the lookout for these awesome items!